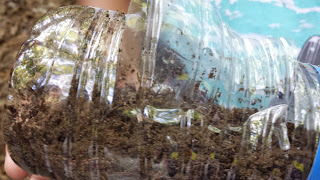 The Primary Peach: Science Saturday - Classroom Terrariums - Naw, not icky at all! 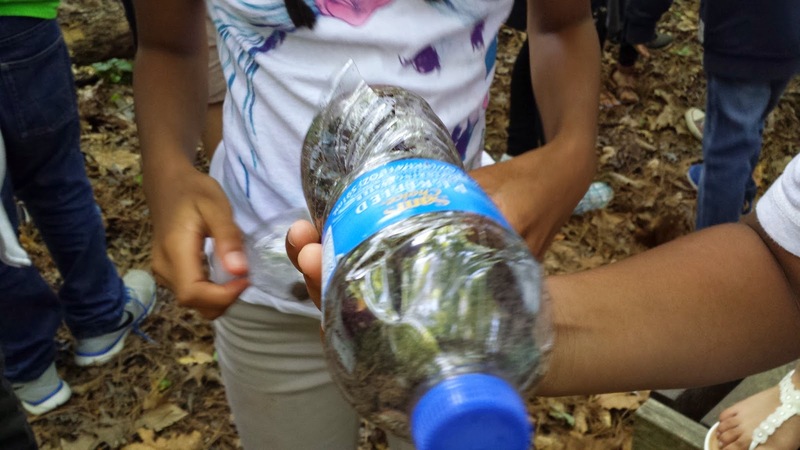 Science Saturday - Classroom Terrariums - Naw, not icky at all! Howdy! It's Gary again from Scrappyguy Designs. I've got something fun for ya today! For the longest time I pooh-poohed the idea of having my students create a terrarium to observe in the classroom. One of my colleagues swore by them. Said they were SO MUCH fun. She did it every year. I could only see B U G S. Large icky bugs. Crawling. Endlessly around my room. So I kept saying, "Nope, not for me." It went right along with my feelings about glitter. Then I tried it last year. Change is good, right? My OCD wouldn't let me just throw some dirt at them and let them have full rein. I had to come up with an entire plan to CONTAIN any creepy crawlers. So I created a powerpoint presentation to show my students which animals they should look for when we went outside to gather our classroom visitors. Click on this link to download the ppt for yourself. Terrariums - Who can be invited? This year I am trying again. I told my class to start bringing in 2 liter bottles to share. If I can get six or seven, I should have enough for groups to create their terrariums. One for all of them would be interesting to say the least. Not many brought in 2 liters, but once I said we wouldn't be able to do the activity unless they brought in stuff, they pulled out their water bottles and asked if we could use those. Sigh, I couldn't say no. I cut a little door off the side of each that can lift up to put the goodies inside. Fortunately we have a Nature Trail behind the school that has been established for an Eagle Scout project. I trucked the kids outside and down along the trail. 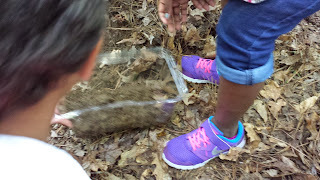 We dug in the dirt and filled up our terrariums. After viewing the powerpoint they know to not come running up to me with snakes, lizards, spiders, owls, or dead birds and ask if they can put THAT in their terrariums. Then I let them free to find BUGS! The screams and squeals were so funny. They didn't find any worms outside to help aerate their soil, so I sought out my student from last year and asked where she had gotten hers. 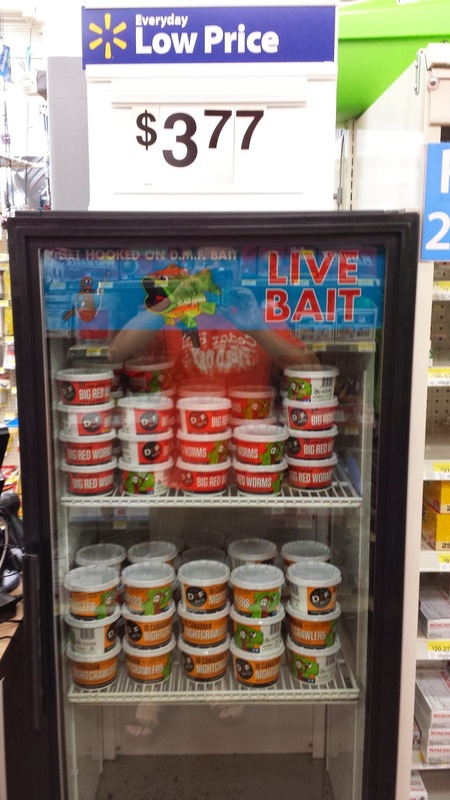 Apparently there is a cooler inside Walmart, back by the sporting goods and fishing poles. You can buy Nightcrawlers or Big Fat worms all for $3.77. Who knew? Yep, that's my finger touching the worms. Those things were weird. 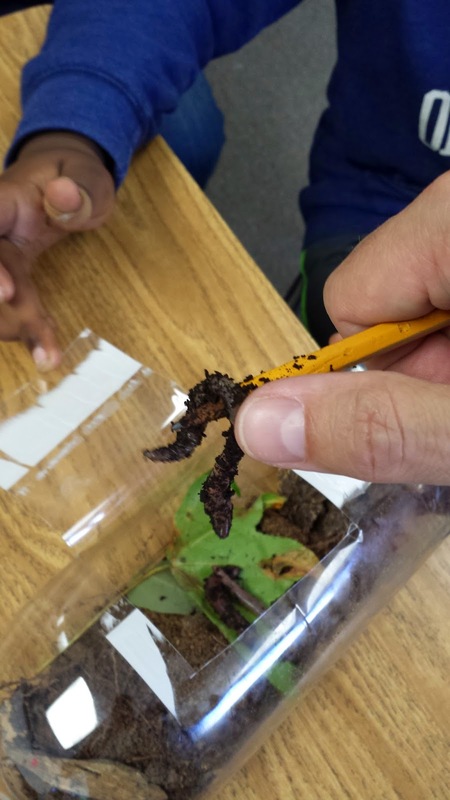 Worms with large flat heads and little hairs to help them dig under the soil. The students could not stop watching them move around. They didn't even want to leave for lunch. We sprinkled some water onto the soil and left them on our desks to keep an eye on them. This is definitely a fun way to cap off a unit on ecosystems. I highly support making terrariums with your kids. They aren't icky at all! Promise.